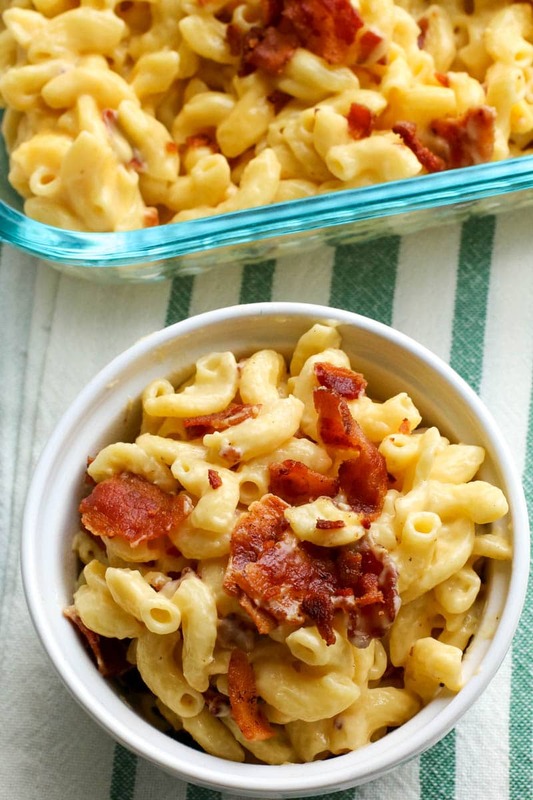 This Creamy Bacon Mac and Cheese makes the perfect side dish for any meal! Growing up, I had one comfort food that has stuck with me throughout all the years – Mac and Cheese! I’d choose a big bowl of creamy mac and cheese over just about anything. There’s just something about it. And, if it’s homemade – lookout! If you usually make your mac and cheese from a box mix and are a little uneasy about making it from scratch, do not fear! 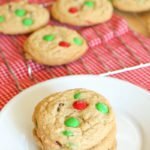 This recipe is so easy you’ll want to make it all the time! It’s so easy to make Creamy Mac and Cheese at home, you should try it! And it’s perfect for keeping warm in a slow cooker, too! Growing up in the south, Mac and Cheese was a staple at holiday meals. It goes perfectly with ham and turkey or beside burgers and brats. What can you add to macaroni and cheese? 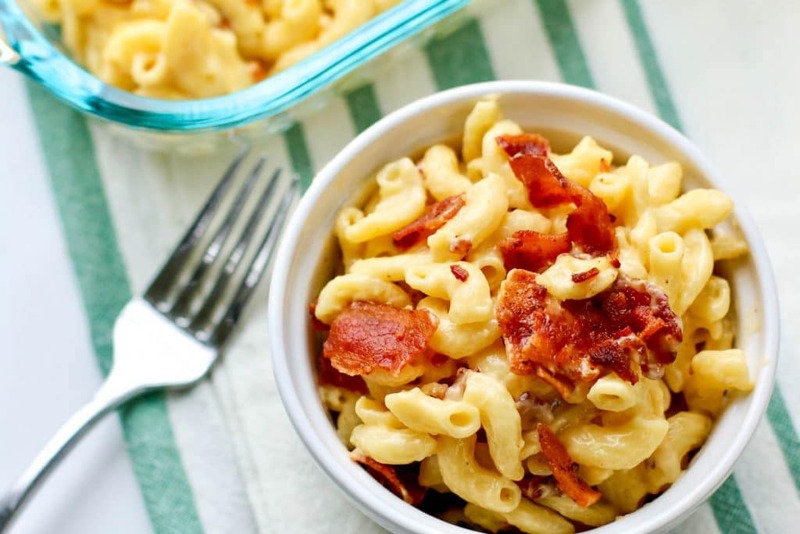 Adding Oscar Mayer Bacon to macaroni and cheese is the perfect way to really give it a ton of flavor that will keep everyone coming back for more! 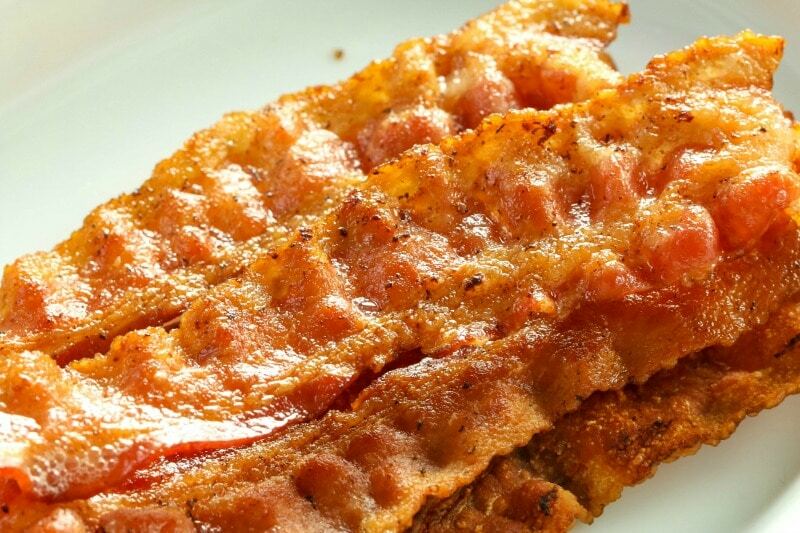 This is a sponsored post written by me on behalf of Oscar Mayer Bacon . All opinions are 100% mine. 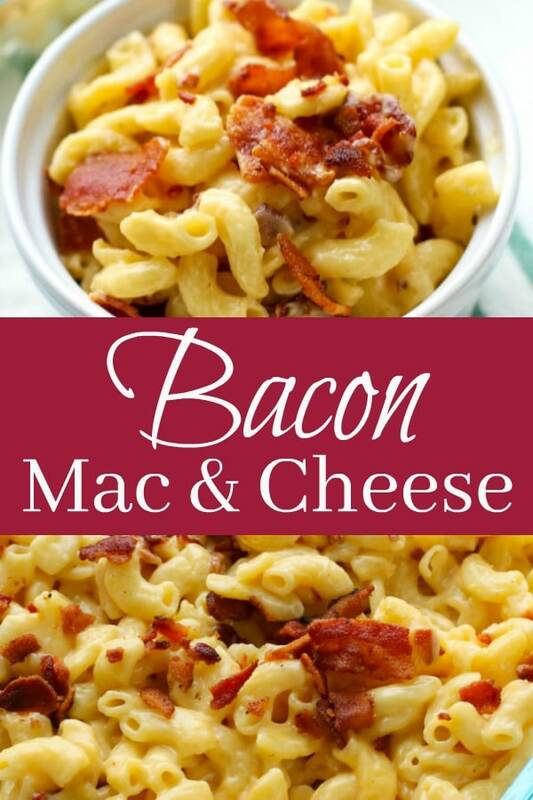 I love to mix it up with my mac and cheese and add the bacon on top and IN my mac and cheese to give it that extra edge. 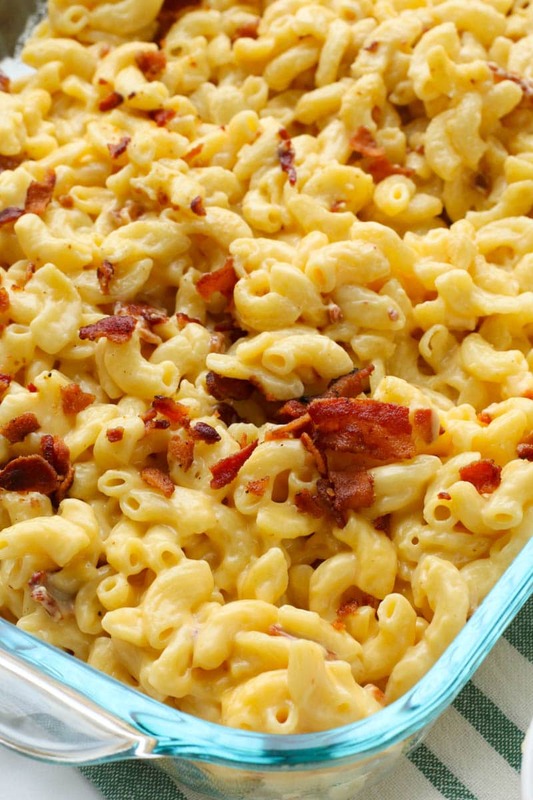 Bacon is the perfect complement to mac and cheese. The crispy, salty taste goes perfectly with the smooth, creamy mac and cheese. I don’t like just ANY bacon in my Mac & Cheese. it has to be the best. Oscar Mayer to be exact! 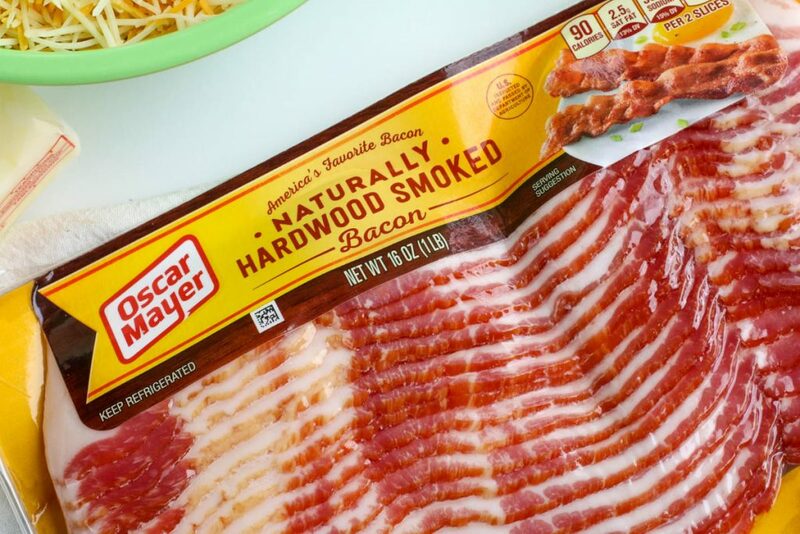 Oscar Mayer Bacon always comes out perfect no matter what variety you get or how you cook it. Skillet, oven, microwave – it’s perfect every time. And it has the best flavor of any bacon I’ve tried. That’s why when I take the time to make a homemade dish like this, I like it to be the best! How can you go wrong with bacon and creamy, cheesy, goodness in a bowl? You can’t! 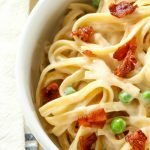 So, I thought I’d share my favorite Homemade Creamy Bacon Mac and Cheese recipe with you so that you could enjoy all the creamy deliciousness in your home in no time! What makes mac n cheese creamy? Well, it’s easy! You can make creamy mac and cheese at home by using simple ingredients like shredded cheese, sour cream, and milk. My recipe below always comes out creamy and delicious! How do you make creamy mac and cheese? 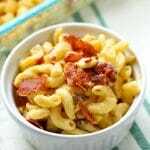 This Creamy Bacon Mac and Cheese recipe is perfect to eat right away or to keep warm in the crockpot. I have a feeling you’re going to love this Creamy Bacon Mac and Cheese as much as I do! 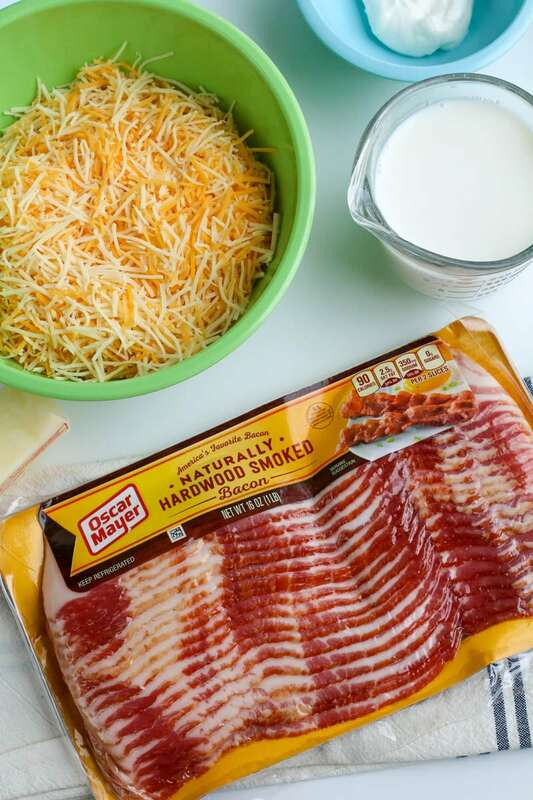 This Creamy Oscar Mayer Bacon Mac and Cheese makes the perfect side dish for any meal and its simple to make at home with only a few ingredients! Boil the macaroni in plenty of water until tender, about 7 minutes. Drain. Add the sour cream, soup, salt and pepper – stir until well combined. Add drained macaroni and milk and stir again. Add cooked, crumbled bacon to the top of the mac and cheese mixture and give a stir. Add a little more to the top before serving. Place Mac N’ Cheese in the crock pot set on the warm setting, stirring occasionally until ready to serve.